As mentioned in a recent blog, WeatherMaster Porch Windows do not require much maintenance, though we do suggest cleaning them every six months. 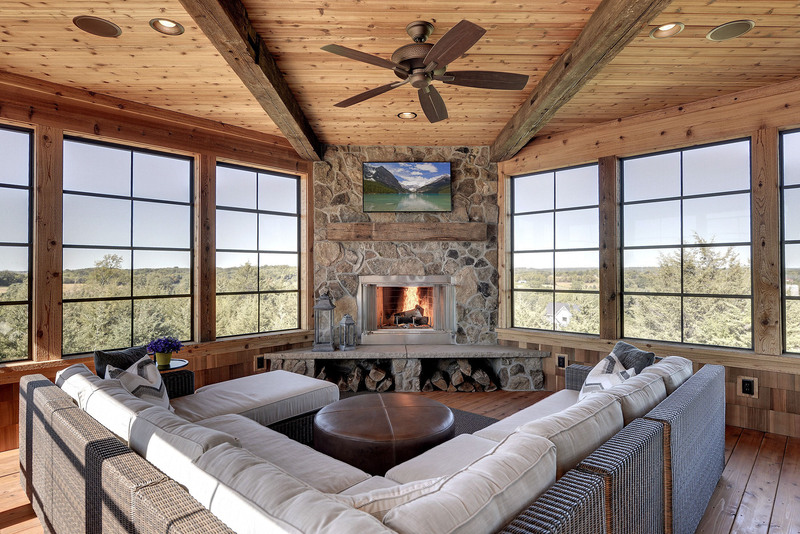 Just like anything else in your home, keeping your windows clean will preserve their life and luxurious look. The process for cleaning your porch windows is quite easy though it could take some time to do. In this blog, we’ve outlined steps for cleaning your porch windows. As you continue to read, should you feel the need for further help or would prefer someone else clean your windows, please know we are here to help. Step 1: Start out by removing each window panel for easier access. Starting with the bottom vent, raise or lower the panel to release interlock from adjoining panel. Grasp the top of the panel with right hand. With both hands, slide panel to the left. Swing the panel out from the right side of the window frame See demonstration below for how to properly remove each panel. Step 2: Vacuum window frame to remove any leaves, dust and dirt. Step 3: Wipe the remaining dirt away. Using your cleaning solution (mixed in a spray bottle) and a microfiber cloth, gently clean each frame and window panel. Step 4: Take a clean cotton cloth and your spray bottle to spray a small amount on each side of the 2 vertical tracks, wiping with the cloth to clean. If you are finding the vents to be somewhat difficult to operate, a small dash of the Silicone Spray or Pledge Furnature Polish can be added to the track for lubrication. A light, quick, dash or spray is usually all you need. CAUTION not to over-lubricate, or the panels will not stay in place and this is difficult to reverse. Step 5: Reverse step 1 and replace each window panel, snapping each one back into place. Start with the panel closest to the screen and be sure to overlap each additional panel as you put them back into place. Timing plays a role in your window cleaning as well. It is best to clean your windows during a warm dry day. You don't want it be hot as it will cause your windows to dry quicker than you need them to, leaving soap sud stains on your panels. And, you don't want it to be cold because it would cause them to dry at a much slower rate. Seems simple but it can take a good amount of time. If you need help, let us know!